Now, I’m not expecting anyone to actually send me card 175. You see, that is Mike Trout’s rookie card. 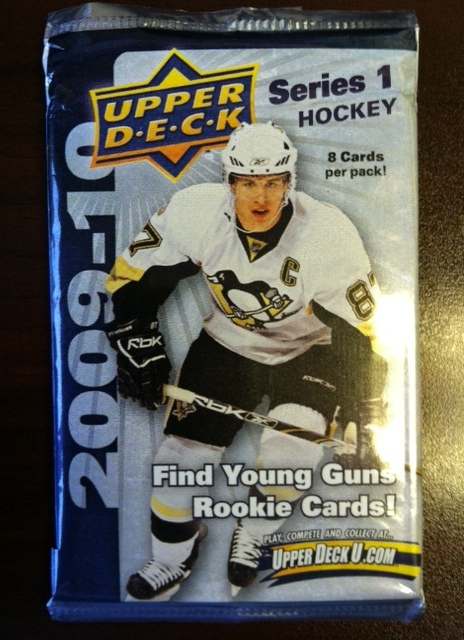 I would probably be better off trying to find a discounted blaster or repack box and pulling one myself. Card #253 is another story. 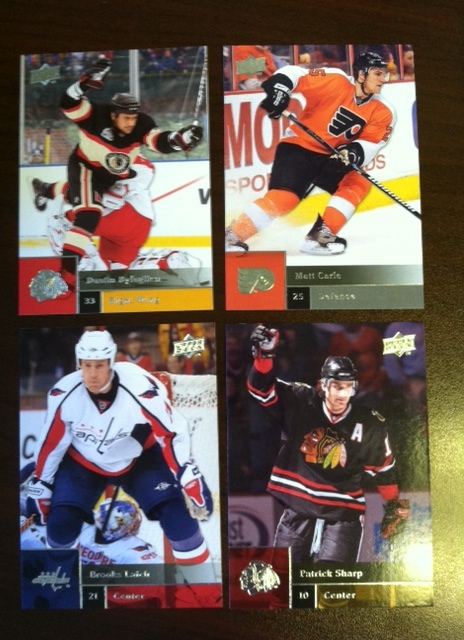 Someone out there has to have a Scott Linebrink card, right? This could be the first time this sentence has been written, but, I will trade heavily in your favor for a Scott Linebrink card. In what is now an annual tradition (if only because it has now opened two straight years), I found some blasters of 2013 Topps Heritage at Target last night. First, what a weird coincidence, but this set looks exactly like the 1964 Topps Design. 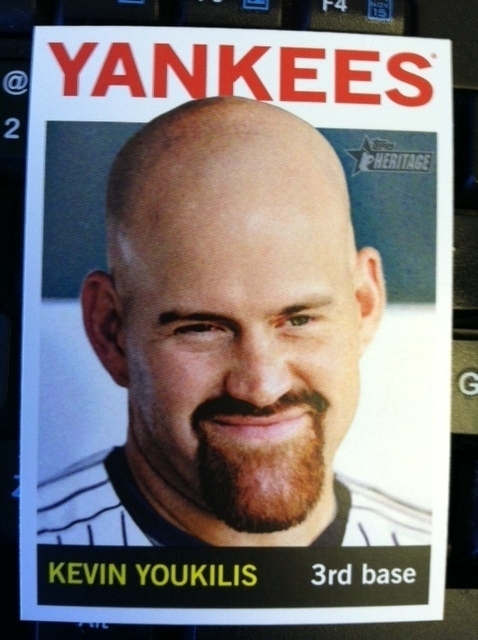 Take a look at this scary card # 275 of Kevin Youkilis. I am excited for 7 years down the road when they recreate the 1971 set. I will most likely be collecting the set this year and I should probably start saving some coin for that now. 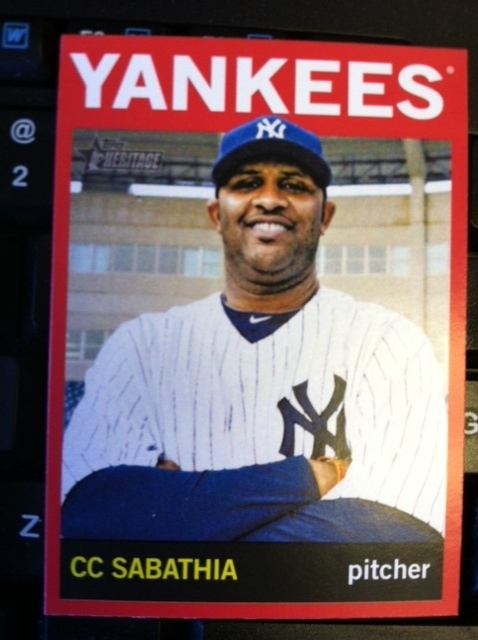 I also pulled a Target Red Variation from my blaster of CC Sabathia. Can you count the # of chins? Overall you know exactly what you are getting with Heritage. 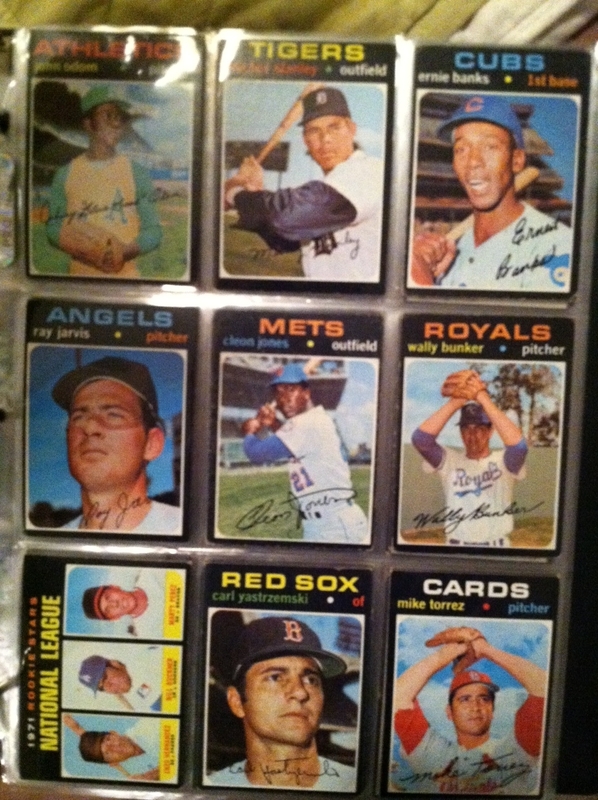 Cards that are a reasonable facsimile to 50 years ago with some inserts and oddball variations. As always, let me know if you would like anything that I pulled as I won’t be keeping much. So we have a big-headed former President winning DC’s sausage race and Sydney Poitier winning an Academy Award. Get on over to Uncle Doc’s! He still has five spots left in his fabulous 2013 MLB Tournament. Allow me a moment to bask in the satisfaction that comes from a complete set. This one is all the more special as it is the first vintage set that I’ve been able to put together. Tough to go wrong with pages that include Mr. Cub and Clemente. As I mentioned in a previous post, this set looks amazing in a binder. I’m contemplating which vintage set to go after next, but I doubt it will give me the same pleasure that the ’71 has. The classic look of the black border has me enamored. Okay, I lied. 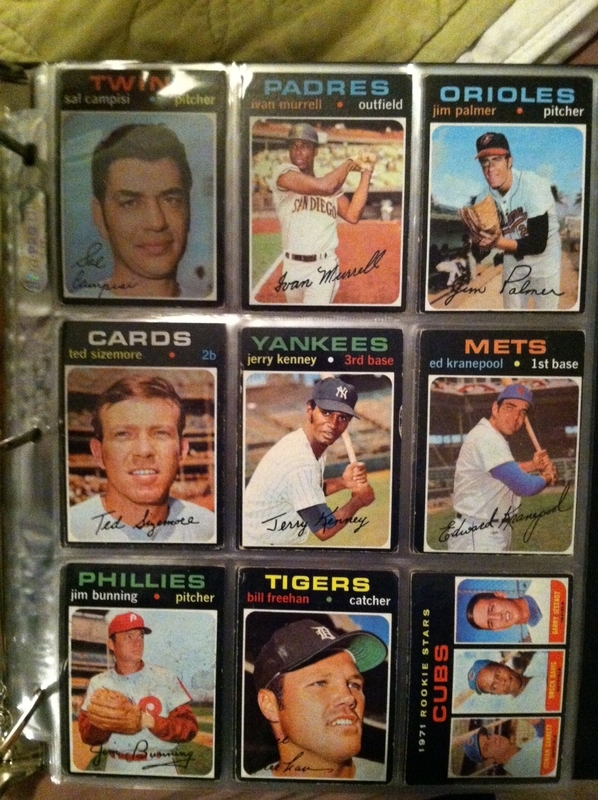 I will probably chase the 1969 set next, so if anyone out there can help me out please visit my want page. Shameless plug for my own blog! 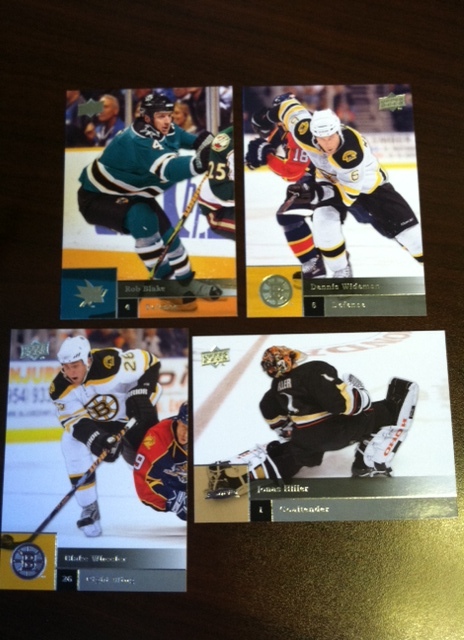 Additionally, I’m planning a contest as celebration of completing the set. Be on the look out in a day or two to see what I have for the winner as well as the contest entry itself. I was overjoyed to awake early this past weekend and find that the NHL and NHLPA had finally agreed in principle to a deal to end the lockout. I missed hockey. Tired of the overpaid players and whining I gave up watching the NFL this season. Even my beloved Steelers. I’m not a fan of the NBA, so the NHL was the only professional sport I was planning on investing my time, energy and talents in for Winter 12/13. The lockout threw a wrench in to that plan, but I could not be happier that hockey is returning soon. A 48 game season should be exhilarating to watch as no team will be able to sustain a long losing streak if they want to make it to the Stanley Cup Playoffs. I only plan on keeping the Wideman to send as a TTM for a friend who is a big Caps fan, otherwise feel free to let me know if you see anything you want. I’ll send it to you gratis! I’m not even going to address how long it has been since my last post. Mentioning it in the previous sentence doesn’t count. It has taken me some time (not nearly as long as I thought), but I am current one card short of completing the 1971 Topps set. ONE CARD. I’m at 99.87% completion. I have a couple best offers out on eBay right now, so hopefully in a day or two I will have it incoming. If not, if anyone out there has one for sale, trade, barter, giving away, etc. please let me know. I will do a much bigger write-up/celebration when I have the entire set completing and in-hand. It looks great in a binder. I wish I had calculated/kept track of all my purchases for the set. I’d love to see what I’ve spent per card as I’ve tried to keep costs very low. I know I’ve overpaid for the last dozen or so and I don’t even care. I am so pumped to have this set almost complete. 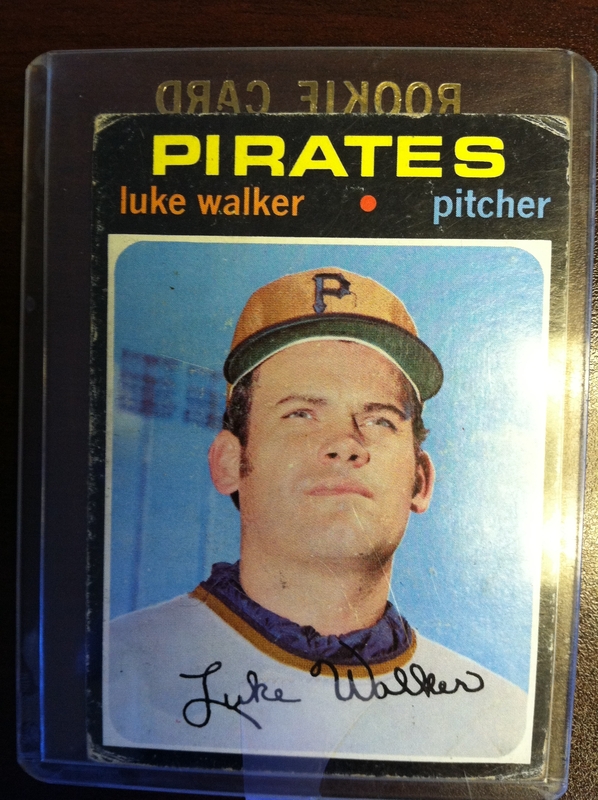 As a thank you, the first person to comment can have this duplicate card from the ’71 set of Luke Walker. I tried to stop myself. Really, I did. I resisted the urge to stop by Target on my way home from work. I avoided the card aisle on an inadvertent trip to Target with the family picking up housewares. I convinced myself to indulge through others retail experience. It worked. For about a week. 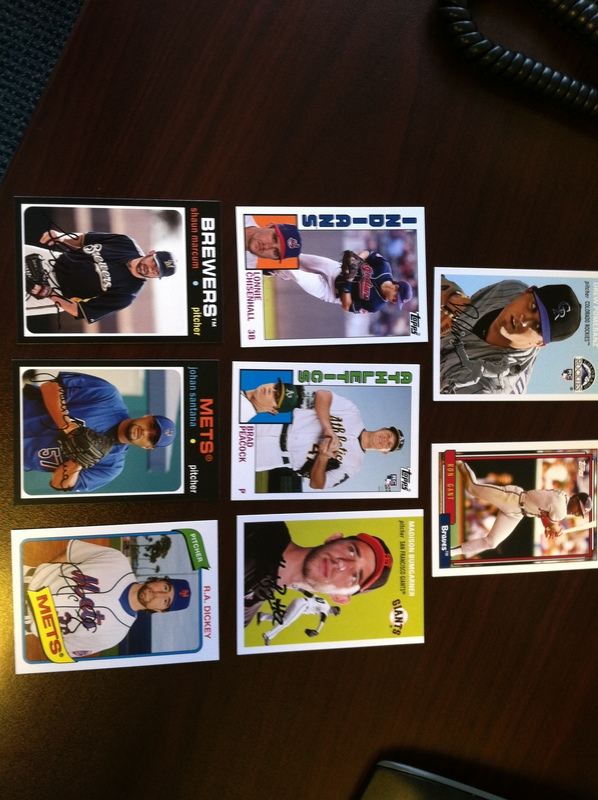 Then I folded and bought one pack (seriously, only one) of 2012 Topps Archives. When I first heard about this set I was excited. Part of the set would be dedicated to the ’71 Topps design, my personal favorite. 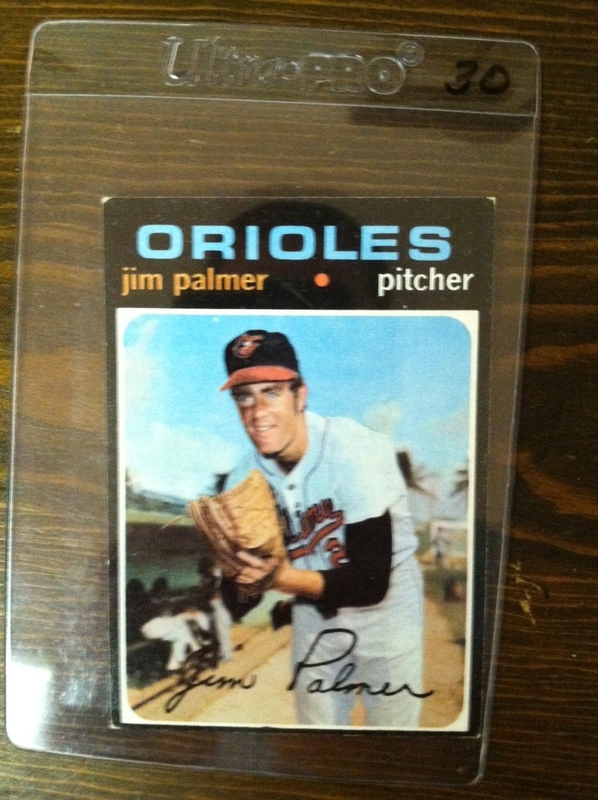 Then I remembered it would be all glossy and not at all indicative of the great cardboardy feel of the true ’71 set. I was less excited after this realization. I then re-convinced myself it was cool and I should collect at least the cards from the set that mirrored the ’71 design. So I bought the pack, and instantly regretted it. Don’t get me wrong, the designs are cool. 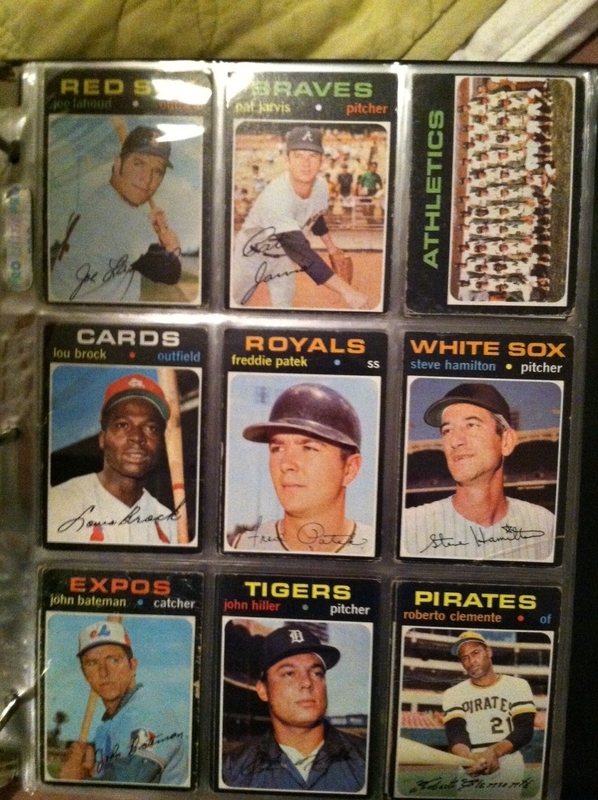 You can’t go wrong with paralleling some of the top designed Topps base cards from the last 60 years. 1984, 1977, 1980, 1971 and 1954. I opened my pack with anticipation, but was instantly bummed. 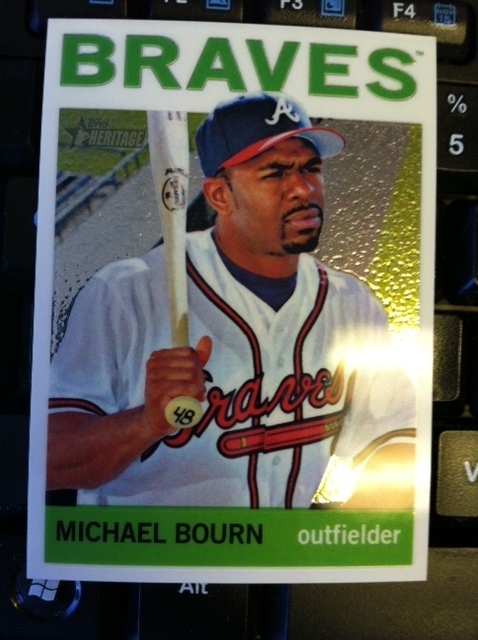 As much as I wanted to love the set, I couldn’t turn my malaise for Topps recent offerings around. I even got a short print in my pack, but it was a 1992 Ron Gant redux. Well, my disappointment can be your gain. See all the cards below? They can all be yours. They are card #’s: 15 47 73 98 148 192 193 and 228. Just leave a comment on this post. If more than one person comments I’ll random the names at 7pm EDT tomorrow (5/31).